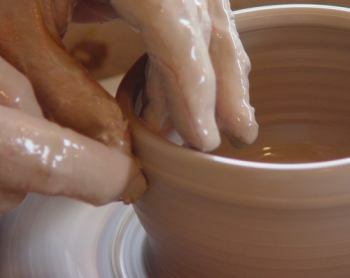 You know how great a potter is by looking at the pots he makes. You know how great a builder is by looking at the buildings he builds. You know how great an artist is by looking at the paintings he paints. You know how great a musician is by listening to the music he writes. You know how great a commander is by hearing of the battles he has won. You know how great a father is by looking at the children he has raised. You know how great a saviour is by looking at those whom he saves. victory! my post got removed! "freedom of speech" hey?! Although, where we got this notion in our culture that the highest expression of free speech was vulgarity, I have no idea. My comment on evolution was a tongue in cheek one. Whilst, I know there are things that remain unanswered, I remain a 6-day-young-earth-total-world-flood creationist. For this discussion to go further, which I am happy to go along with, I will only do face to face. It's too time consuming and open to misinterpretation etc to be worth the effort to continue it here. Look me up on Facebook under Richard Maynard Walker - I am the only one under that listing - I think. I do not wish to meet face to face with someone as radical as yourself for from your blog I am scared of the constraints you inflict upon others and I would not feel safe in your presence. Moving away from the abuse and back to the topic of this particular blog... I think the words on this blog are excellent, particularly that last challenging statement. Thank you for your continual challenges and reminders Richard, you're a pleasure to be around.